The following is an interview held by EVENTS with Mr Ahad Ghazi, the Director General for Marketing and Promotional Affairs' Bureau of Cultural Heritage and Tourism Organization at the President's Office. The aim was to find more about the country's potentials for tourism and what the authorities are doing to further expand it. Events- When did you take over the office as the Director General for Marketing and Promotional Affairs' Bureau of Cultural Heritage and Tourism Organization? Ahad Ghazi- I have been in this office since mid November 2004. E- Don't you think there is a great deal yet to be done with respect to attracting tourists to Iran? AG- Obviously a lot has been done in the past that cannot be ignored. However, considering the development of the tourist industry at the international level and its worldwide expansion, and the work that has been done by almost every individual country to attract tourists and gain larger revenues from this industry, then we have to admit that what has been done here is not in any way considerable. A lot more must be done; and done according to proper planning. E- Considering that there are a large number of Shiites in the countries surrounding Iran as well as in Lebanon and Syria, one would think that we could easily arrange for large numbers of tourists coming to Iran as group of pilgrims. Do you have any plans in this regard? AG- A large number of tourists that come to our country at present come on pilgrimage. So, a great deal of work has been done in this respect, particularly as it is of great importance to us from a publicity and prestige point of view. 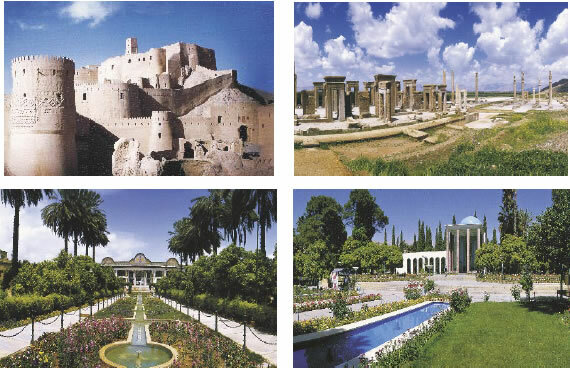 The work has particularly taken up speed since the time the two organizations (1) the Cultural Heritage and (2) Iran Touring and Tourism Organization joined to form a set up to deal solely with holy shrines and tourists coming to Iran to visit these places. Endowment and Charity Affairs Organization has also cooperated with us to a great extent. 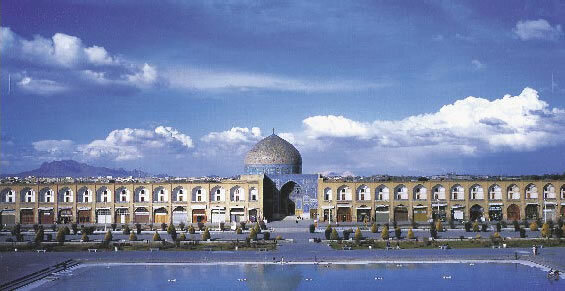 E- It is often said that the problem with tourism in Iran is that large distances separate archeological sites and other places of tourist interest. How true is this? AG- I don't think this to be a serious problem. It is not a great difficulty considering modern means of transportation and traveling. E- Some countries such as France, Italy, and Greece earn a very considerable part of their foreign exchange revenues from tourism. Our country, however, earns comparatively little from this source despite its unique potentials. How much, in your opinion, could we achieve in this area? AG- As you just pointed out yourself, Iran has indeed unique potentials: beautiful natural sights, bewildering archeological remains, and of course very important religious shrines. So, there is no reason why we should not be greatly successful in tourism and earn a good deal of foreign exchange from this industry. But, I must point out again, we have to work according to appropriate plans and well worked out programs. We need a better infrastructure, better macro and micro policies and - most important of all - we need to believe in ourselves. E- And how long do you think it will take? AG- It is hard to tell yet. But we are determined, are making out proper plans and programs, and we are convinced that we can do it.